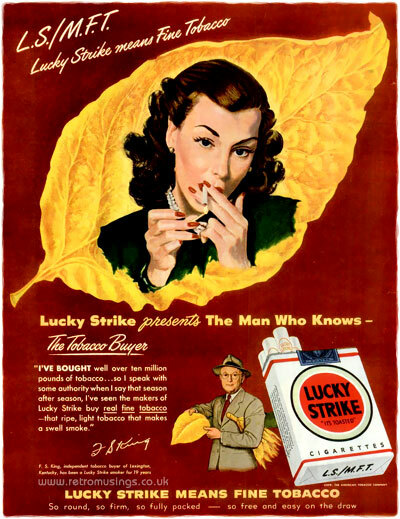 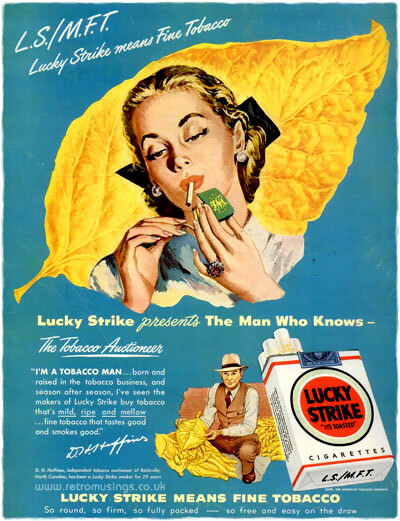 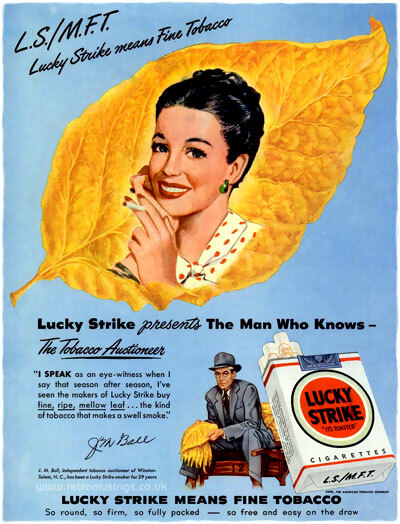 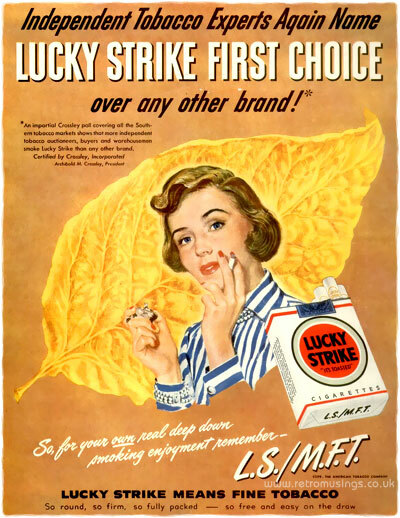 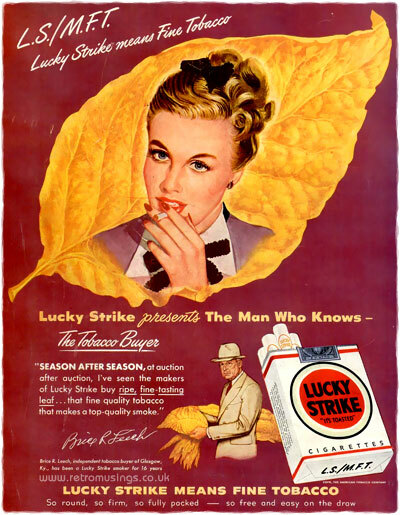 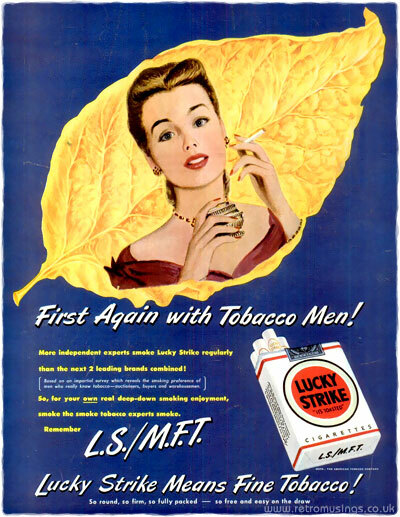 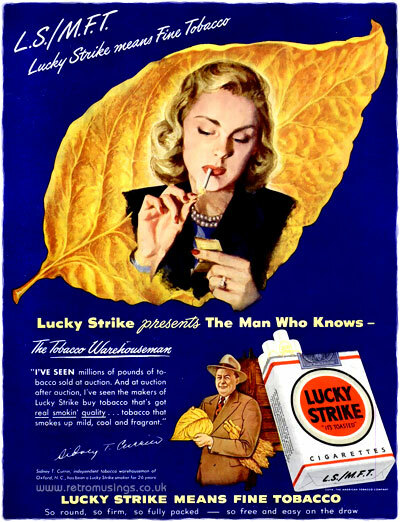 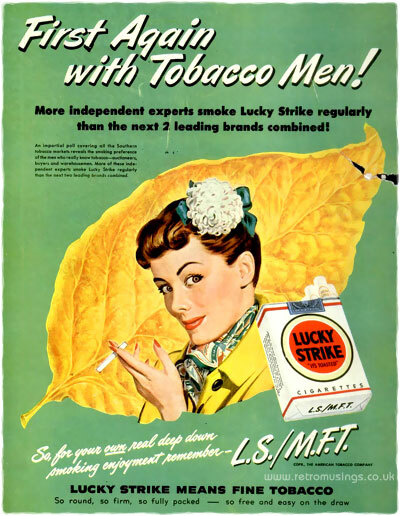 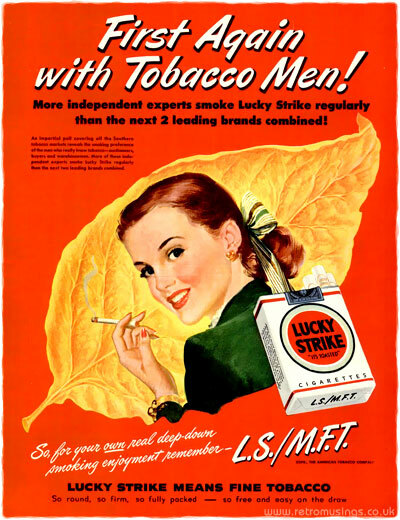 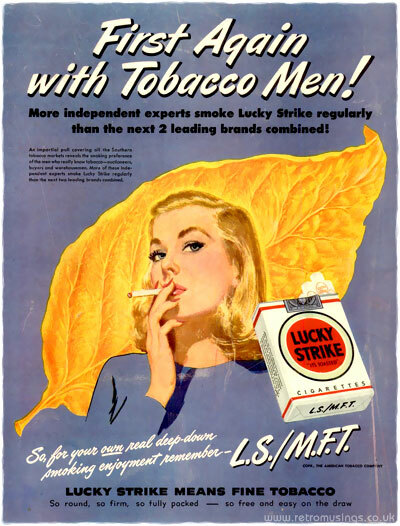 These illustrated ads for Lucky Strike cigarettes date from 1948. 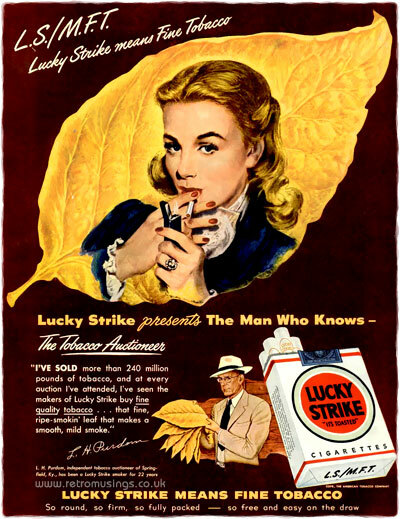 They all featured a young lady lighting up a cigarette in front of a large golden tobacco leaf on a colourful background. 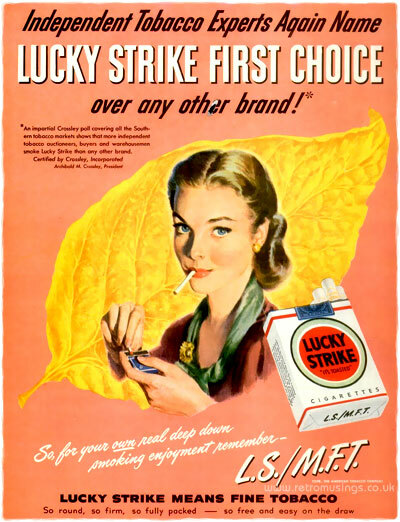 Unfortunately I don’t know who the artist/artists were.